In Matthew 9:37-38, “... He (Jesus﻿) said to His disciples,“The harvest truly is plentiful, but the laborers are few. 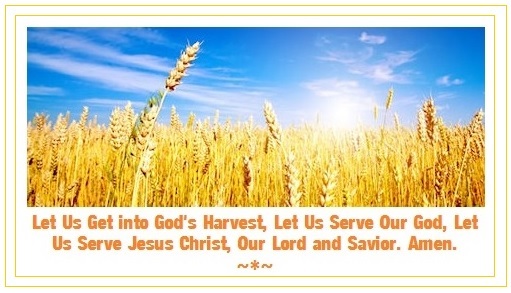 Therefore pray the Lord of the harvest to send out laborers into His harvest.”"
Our prayer is that God will bless all of us to share the gospel of Jesus Christ with as many people as possible. With our families, friends, acquaintances, and all others. In Jesus' Name, Amen. Jesus Loves You Today aims to evangelize through bible tracts, social media, faith-based resource materials, and all other available avenues that God provides to us. You can find us and join us on Facebook, Twitter, & Google+. God is Doing An Amazing Work! Our volunteer service program is here to help provide fellowship and support to people in various ministry areas, and to share encouragements about the Love of God and the Salvation of God through Jesus Christ. Believers in the Lord Jesus Christ are welcome to join with us in the ministry work and to network with other Christians to help provide support to others to learn more about Jesus. 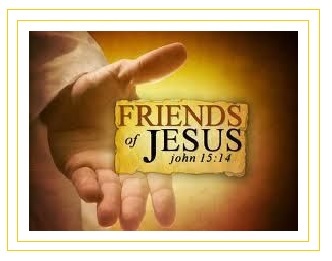 Jesus Loves You Today seeks to partner with our members and other organizations in various communities to provide sponsorship to children in need at orphanages, to provide intercessory prayers, and words of encourage based on biblical principles to the sick, those in prison, and all others in need. By God's grace, we provide daily devotionals and daily bible study fellowships to help people pray to God, praise God, serve God, and to study the entire Bible in one year. The main goal is to encourage everyone to know Jesus Christ as their personal Lord and Savior, and to live a victorious Christian life, drawing closer to God every day. We strongly believe that ﻿God Loves Us All, Each and Everyday of Our Lives, and With God All Things Are Possible. Jesus Christ is The Way, The Truth, and The Life. Jesus Christ is the Same Yesterday, Today, and Forever. And, Jesus is Still Touching Lives and Saving Souls Today! Jesus Loves You Today offers a variety of faith-based resource materials and items that can be helpful in encouraging your faith personally, and as well as, encouraging the faith of others, and can be helpful in sharing the Christian faith with others. We invite you to browse through our gift items and to place orders with donations for the items you would like for yourself or to share with other people. We hope to be a blessing and we believe that all our gift items will be a blessing in your life and in the lives of others that you share with. By the grace of God, be encouraged to acquire these faith-based resource materials, and to share them with others, and we pray that God continue to greatly bless you in Jesus' Name, Amen. ‘Be Born Again, Be Saved by Jesus Christ’ Community﻿ - is focused on how to be born again or be saved, and how to remain born again. It is about being humble. It is about being obedient to God, about serving God, and about persevering in our Christian lives as God requires all believers to do. You can click here to join this community on facebook! God's blessings over all in Jesus' Name, Amen.